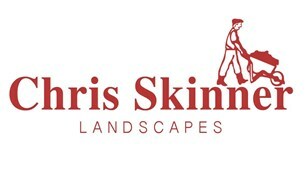 From maintaining your garden to undertaking major groundworks/minor civils, Chris Skinner Landscapes has been established for over 50 years and remains in the hands of the Skinner family. We have decades of experience creating the perfect landscapes for our clients, both domestic and commercial, from a lawn cut to large-scale commercial contracts, from a one-off job to long-term projects. Are you looking for a reliable, customer-focused and highly experienced firm for your landscaping requirements? Do you want free, no obligation estimates and advice? Do you want peace-of-mind that the works you have asked for are being carried out to the highest standards? We maintain the edge over our competitors not only because each and every one of our team members is highly-skilled and experienced, but we also own and operate an extensive fleet of machinery including diggers, dumpers and rollers. We pride ourselves on our professional approach and we work closely with our clients from project start to project finish. We know that communication is key to the success of any relationship and we will ensure that you are kept abreast of the progress of your project at all times. We cater for most requirements; whether you need a regular visit to maintain your garden and lawn, you need a new deck or you have a major demolition project or ground works, Chris Skinner Landscapes can accommodate your needs. We hold PLI to the value of £10 million. Please do give us a call or drop us an email with your requirements and we will be happy to help.